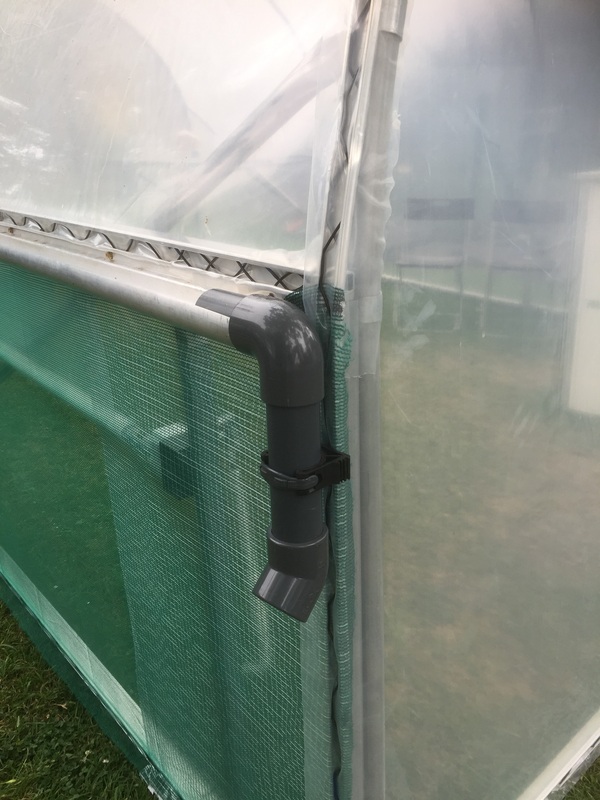 At the recent Bloom Show we premiered our new roll up side ventilation system which can be fitted to our full range of Garden and Professional Polytunnels. 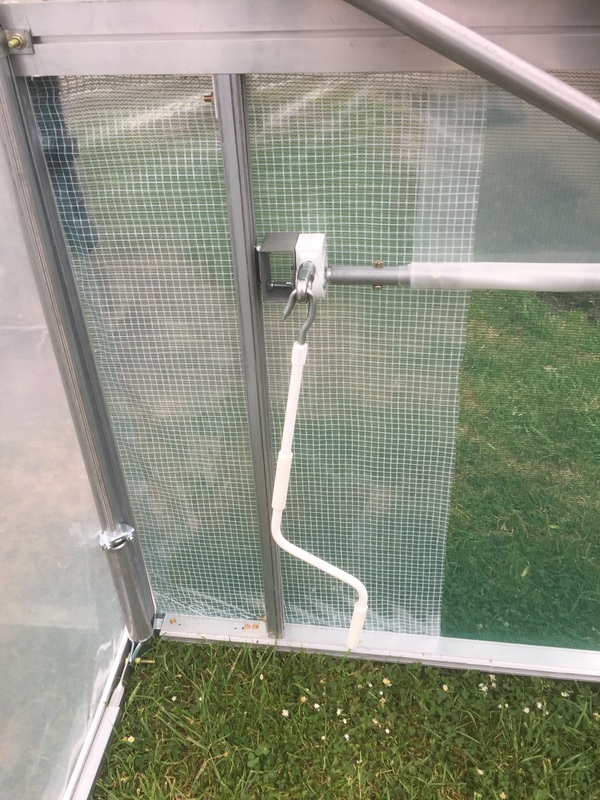 This simple system provides an economical solution for roll up sides and can be fitted to one or both sides of the Polytunnel. 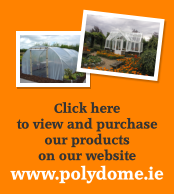 A rainwater collection gutter is available as an optional extra feature. 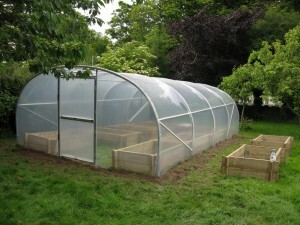 We will have this fitted to one of our Polytunnels in our display area this summer. 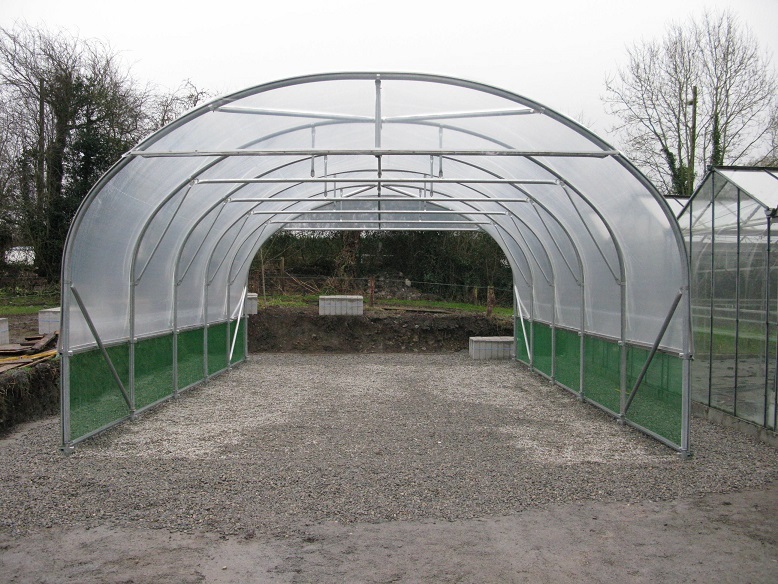 We recently built a canopy structure for Hannah’s Garden in Birr (formerly Ward’s Garden Centre), it is the kind of structure that customers ask us about for numerous applications. This type of structure can be used in Industry to keep pallets out of the rain, for livestock, for Garden Centres to avoid plants getting too wet (and of course customers too), it can be used for drying timber, hanging up your washing line, a car port (we have had people ask for this including for Vintage cars) – etc. etc. (I feel a competition coming on here for readers to think up practical suggestions of what it could be used for). 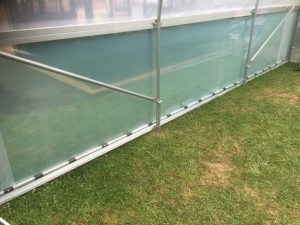 This structure is the same design as our standard 6m wide Model but with extra height and a heavier frame than normal to carry the extra height. 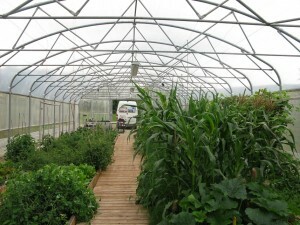 Thanks to our well equipped workshop and stock of steel we are able to customise our Polytunnels where the need arises. 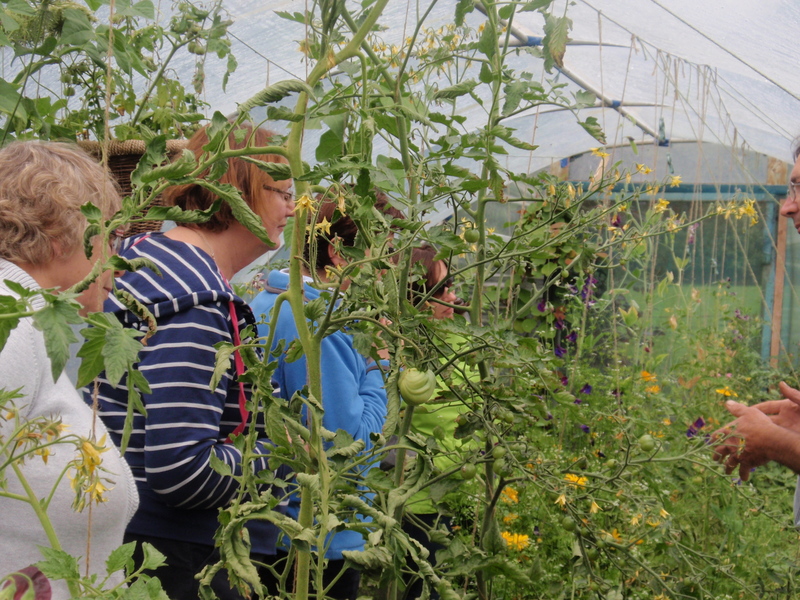 Why not visit Hannah’s Garden when you come to Birr? It is on the Tullamore Road opposite Lidl. 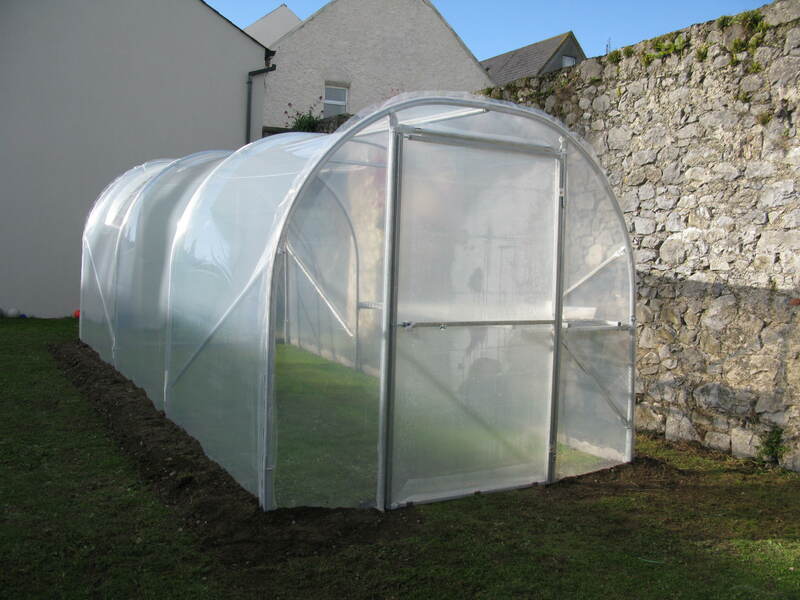 If you like your early potatoes early and you have enough room, why not plant some in your greenhouse in January? 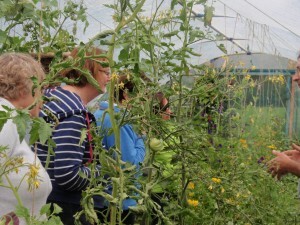 They could be ready for harvesting as soon as May. Yields can be modest, but the flavour of fresh early potatoes is unbeatable. Choose seed potatoes of an early variety, and stand them on a warm bright windowsill indoors to start sprouting. Keep the eyes facing upwards so the emerging shoots will be straight and tall. 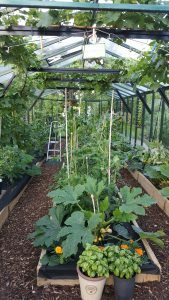 When the sprouts are about five centimetres tall plant the seed potatoes in the greenhouse, either in the ground or in large pots. Some compost or well-rotted manure could be added to the soil, but not too much if slugs are a problem. When planting take care to trickle soil gently down between the sprouts to avoid damaging them. Some growers who use pots plant the seed potatoes in half-filled pots and add more soil as the sprouts grow up, always leaving their tips exposed to the light to speed up growth. 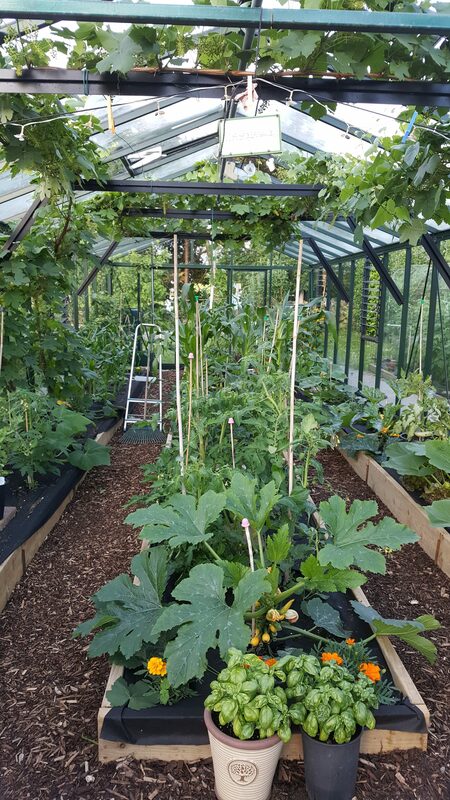 Keep the soil moist but not wet, ventilate the greenhouse (or bring pots outside) on warm days, and protect the plants from frost and slugs. Add soil around the bottoms of the stems to stop light from greening potatoes near the surface. 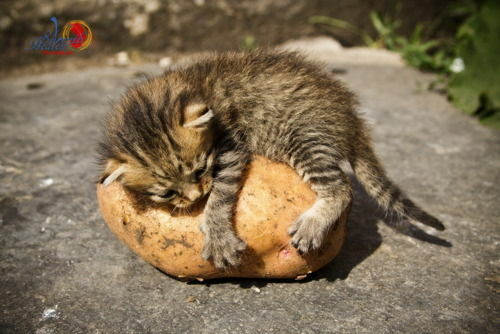 You can start eating the potatoes when flowering is over, but the potatoes will continue growing bigger until the foliage dies down. They taste best when freshly dug, so unless you need the space or have a slug problem dig them only as you need them. Bon appétit! 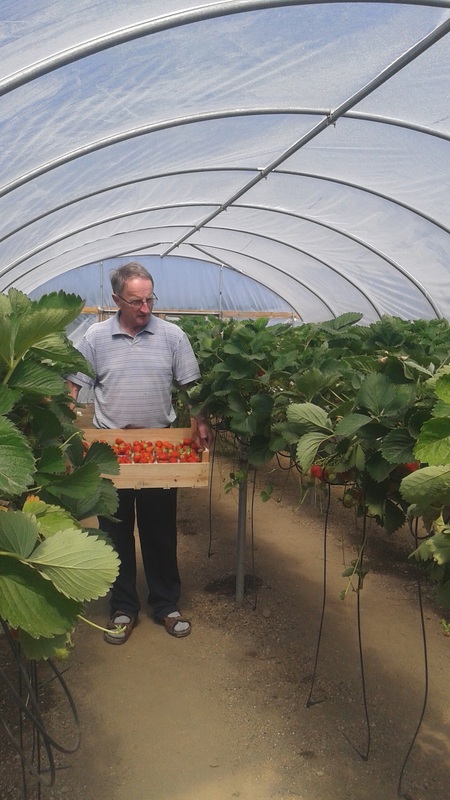 A customer in Limerick harvesting strawberries in one of his Polydome Polytunnels this summer.